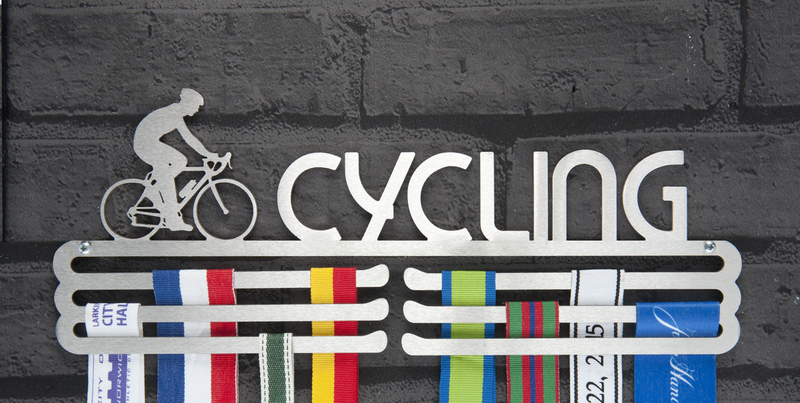 Cycling Multi Tier Medal Display Hanger: Long cycle rides, short rides, turbo trainers, time trials, audax, sportives, hills, velodrome, BMX and flats or just the daily commute. 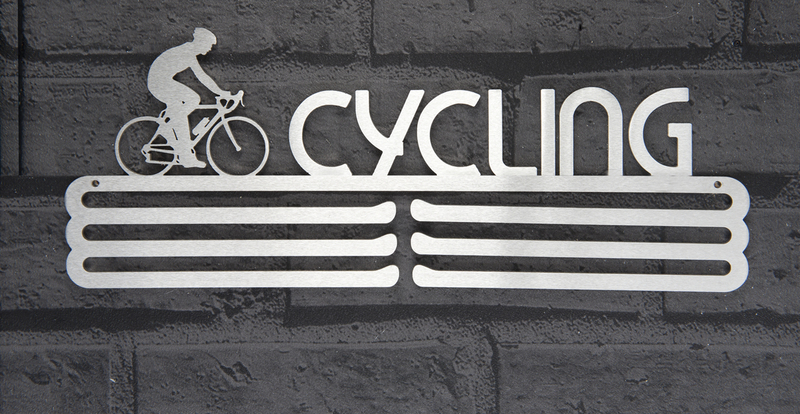 It doesn’t matter which, because ultimately you love being out on the bike, you are a cyclist. Two wheels are your passion and your medals deserve a display. The achievement of hours in the saddle deserve more than tea, coffee and cake! 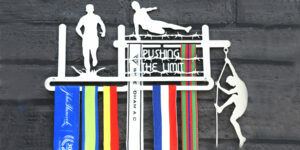 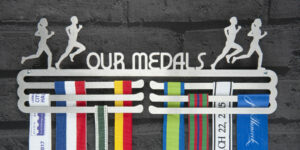 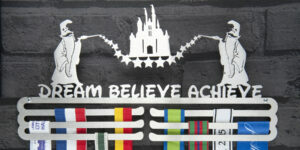 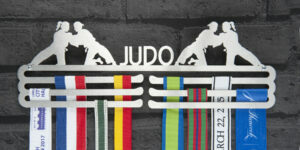 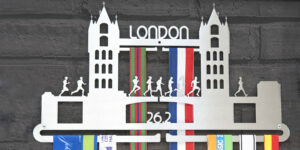 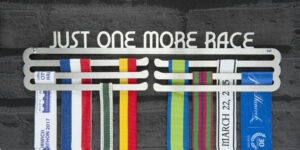 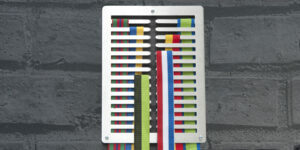 Hang your cycling medals with pride on our Cycling medal display hanger, show how much you love your time on your bike! 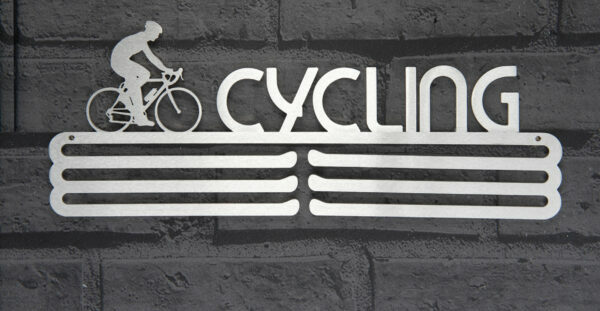 You are a cyclist. 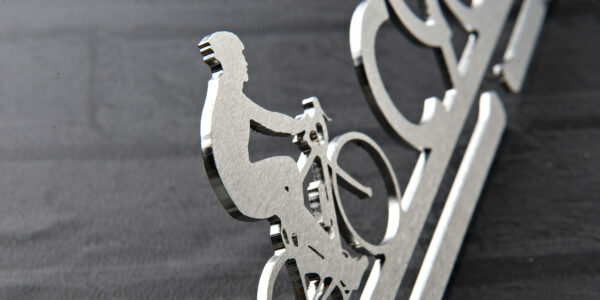 330 x 120 x 2mm. 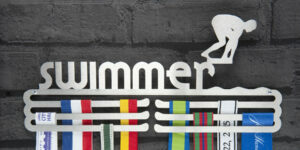 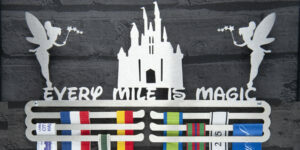 This medal display hanger makes the ideal gift for the competitive cyclist.